Brother John S. and James L. Knight built and ran one of America’s largest and most successful 20th century newspaper companies. The Knights formed Knight Foundation to support transformational ideas that promote quality journalism, advance media innovation, engage communities and foster the arts. 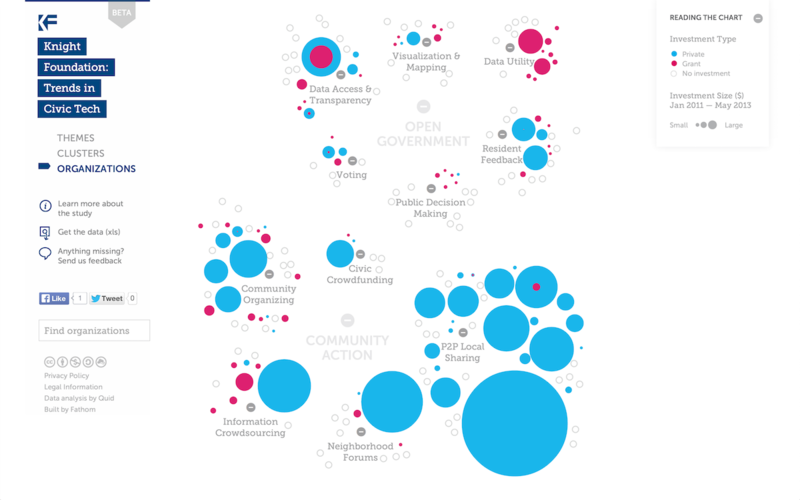 We believe that democracy thrives when people and communities are informed and engaged. 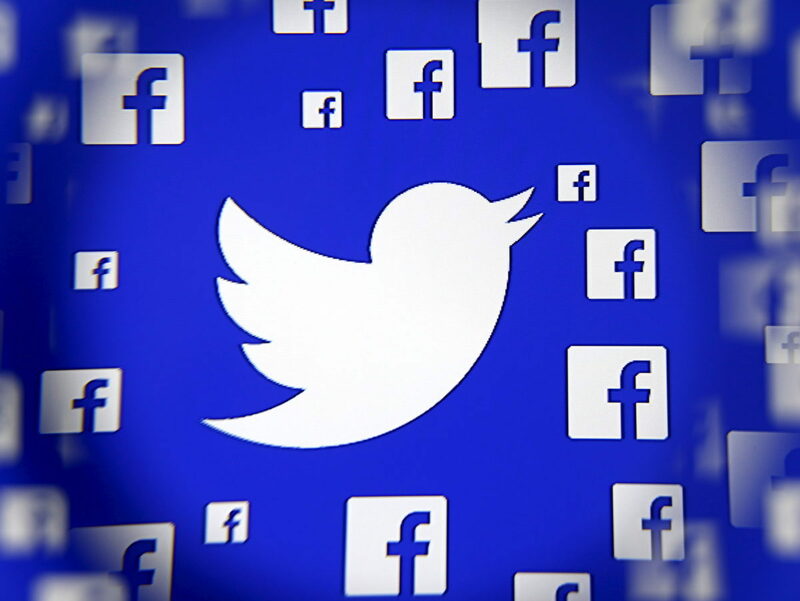 More than 80 percent of accounts that repeatedly spread misinformation during the 2016 election campaign are still active, and they continue to publish more than one million tweets on a typical day, according to a study commissioned by The Knight Foundation released this week. A $27 million fund aimed at ensuring that artificial intelligence is developed in the public interest has announced its round of funding: $7.6 million, which will be split unequally between MIT’s Media Lab, Harvard’s Berkman Klein Center and seven smaller research efforts around the world. 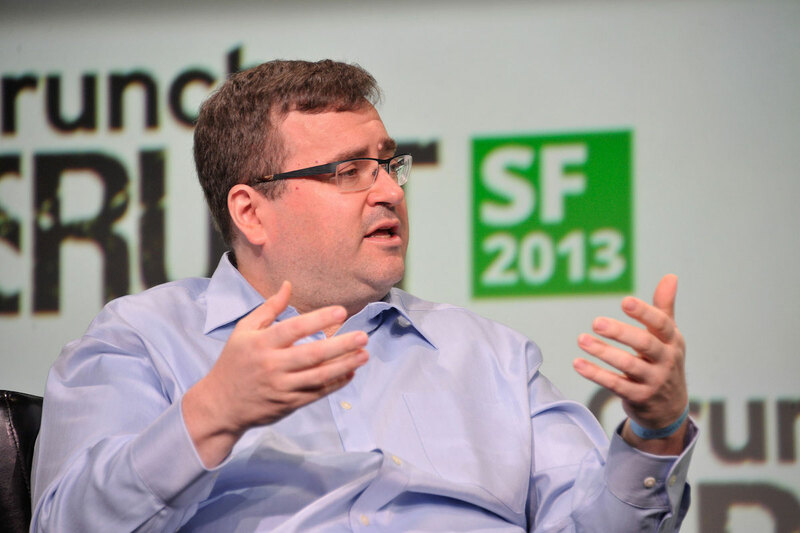 The fund was founded with initial support from Knight Foundation, Omidyar Network, LinkedIn founder Reid Hoffman (pictured above), the William and Flora Hewlett Foundation and Jim Pallotta. PKPR secured coverage for the announcement in outlets including TechCrunch, VentureBeat, Wired, and The Verge. Knight News Challenge on Libraries last week announced funding of $1.6 million for a range of innovative digital and data projects aimed at re-imagining libraries for the 21st century. 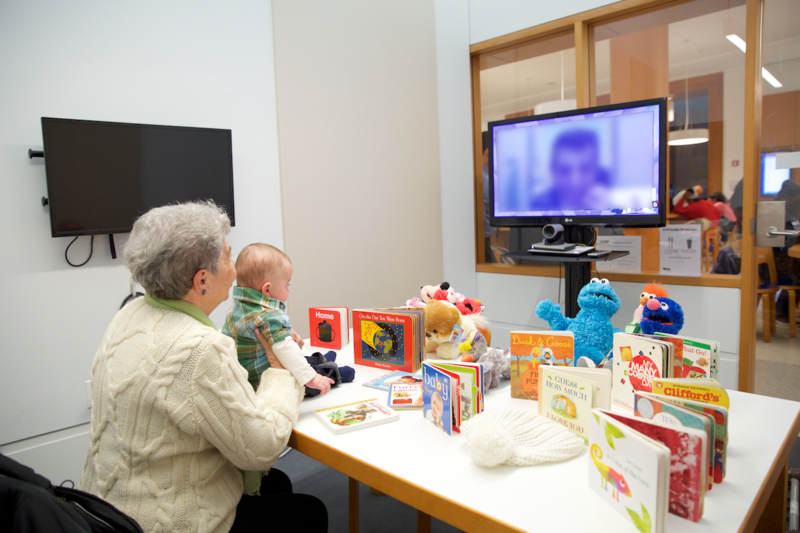 Winners ranged from a free library program that uses internet video to connect incarcerated parents with their kids for storytime to a project aimed at increasing diverse perspectives (more than 90% of Wikipedia contributors are male) on Wikipedia by training librarians to assist their communities in editing and verifying Wikipedia entries. Coverage of the winners included The Verge, Tech Insider, Mic, TakePart, Pacific Standard Magazine, Mental Floss, GeekWire, and The Christian Science Monitor. With the nation gearing up for the 2016 elections, the Knight News Challenge on Elections in Austin last week awarded $3.2 million to a range of innovative projects that increase voter participation and better inform voters at both the national and local levels. Goodbye Dewey Decimal and welcome to the library of the 21st Century. 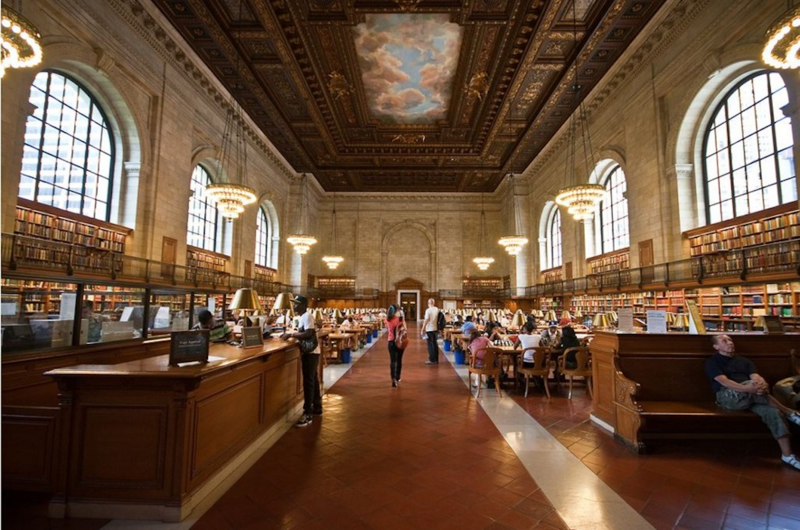 The Knight Foundation this week awarded more than $3 million to projects that are reinventing the ways in which people experience and use the library. Coverage highlights included Newsweek, VentureBeat, Fast Company, Boston Globe, Capital New York, Next City, EdSurge, Library Journal, GovTech, TechCocktail, StateTech, and ChicagoInno. 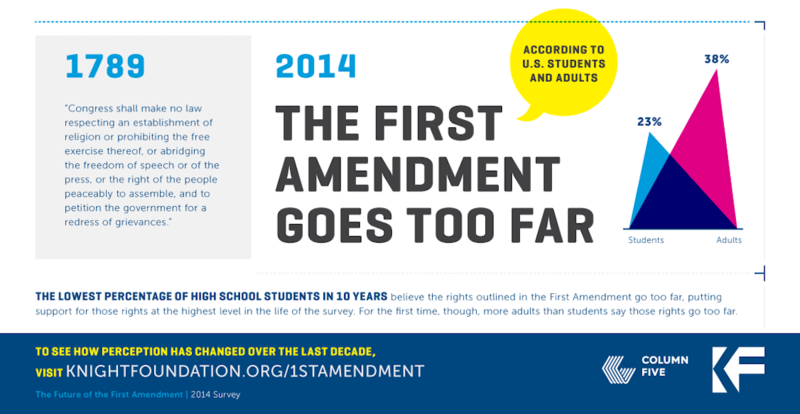 PKPR placed an infographic in USA Today, as well as stories in numerous outlets including The Guardian, San Jose Mercury News, Pando Daily, Reason, The Blaze, and Town Hall. 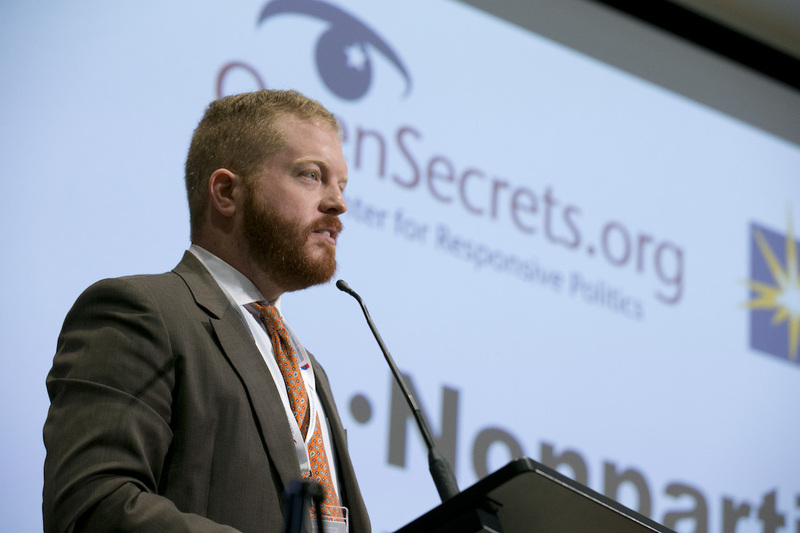 Winners of the 2014 Knight News Challenge, which funds projects that promote an open Internet that is free and accessible to all, were announced at the 2014 MIT-Knight Civic Media Conference in Boston last week. The winners included a mix of projects aimed at safeguarding online free speech, privacy, and security, as well as two innovative programs in New York City and Chicago that will lend Wi-Fi hotspot devices to families and students without high-speed Internet access. Coverage of the winners included: NPR, The Atlantic’s CityLab, Fast Company, The Verge, The Huffington Post, Education Week, The Hill, TechPresident, Library Journal, Social Times, Capital New York, Tech.co, Governing, MediaBistro, BostInno, MadameNoire, GovTech, and StateTech. 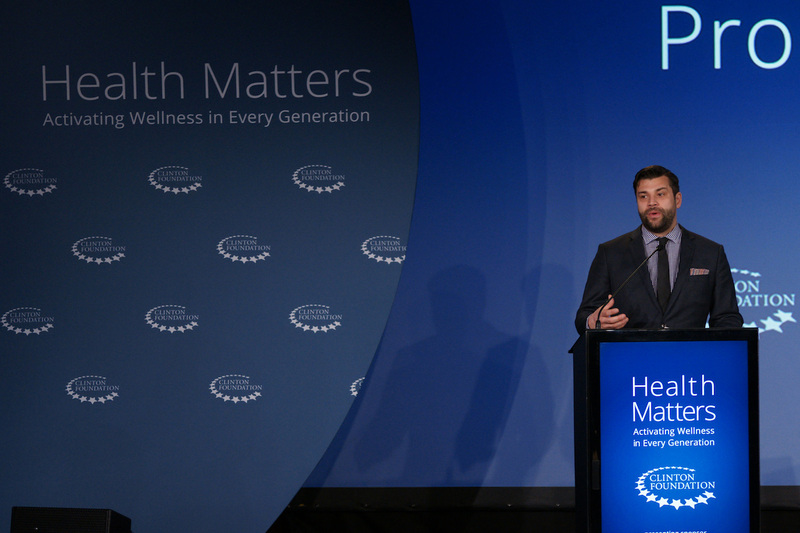 At the Clinton Health Matters conference in Palm Springs, the Knight Foundation announced $2.2 million in funding for seven startups that harness the power of health data in innovative ways to improve public health. The startups were the winners of The Knight News Challenge on Health. Coverage highlights included a fantastic Fast Company piece with the headline “7 Brilliant Ideas to Make Health Data More Useful,” as well as stories in MediaBistro, Columbia Journalism Review, GovTech, MedCity News, iHealthBeat, and Healthcare Informatics. Ashton Kutcher, Google, and Omidyar Network are among the top investors leading a $430 million funding surge in startups aimed at making government more effective and citizens more engaged, according to the first-ever report on the rapidly emerging civic tech field released by the Knight Foundation last week. PKPR was on the ground in Cambridge, MA this week for the announcement of the Knight News Challenge on Open Gov at the MIT-Knight Civic Media Conference. The eight winning projects provide new tools to improve the way people and governments interact, ranging from OpenCounter, which makes it easier to open a local business, to Outline.com, which creates a simulator that enables people to visualize the impact of public policies on their community. PKPR secured coverage of the winners in a wide range of outlets including The Wall Street Journal, Businessweek, Fast Company, Washington Post, Inc., PandoDaily, ReadWrite, San Francisco Chronicle, Boston.com, CivSource, and Tech Cocktail. 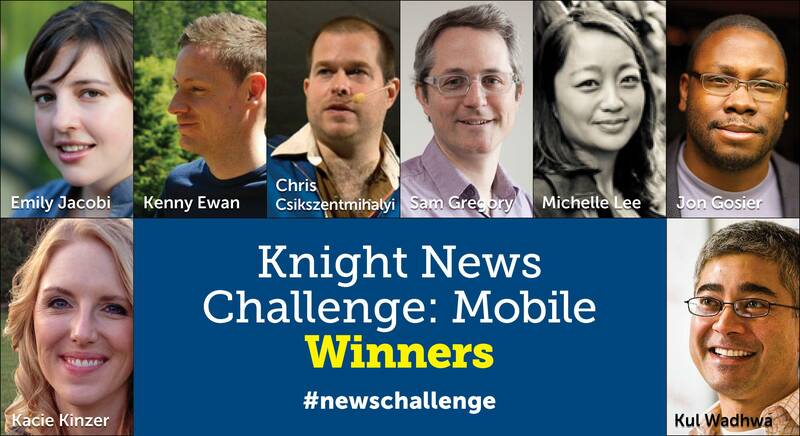 Ranging from projects that turn no-frills mobile phones into radio stations to applications that help newsrooms manage a deluge of incoming mobile content, eight media innovation ventures this week received a total of $2.4 million as winners of the Knight News Challenge: Mobile. Coverage of the winning projects included AllThingsD, Fast Company, VentureBeat, PandoDaily, Social Times, New York Observer BetaBeat, TechPresident, Mediabistro, Jounalism.co.uk, and Columbia Journalism Review. Recovers.org from Knight Foundation on Vimeo. PKPR was proud to work with The Knight Foundation on promoting the amazing service that Knight News Challenge winner Recovers.org provided in New York City in the aftermath of super storm Sandy. Developed by two sisters whose town was upended by a tornado last year, Recovers.org has been instrumental in jumpstarting recovery across the city, moving masses of people and goods from where they showed up to where they were needed most. Coverage ranged from Huffington Post (With Recovers.org, Two Sisters Revolutionize Disaster Relief) to Aol Government. Six media innovation ventures that make it easier to access and use information on local communities, air quality, elections, demographics and more received a total of $2.22 million this week as winners of the Knight News Challenge: Data. On June 18th at MIT in Boston, Knight Foundation announced that six media innovation ventures would be awarded more than $1.37 million as winners of Knight News Challenge on Networks. The winning projects build on existing networks, such as UStream or Twitter, to create new ways for informing and engaging communities. PKPR focused its campaign on technology and startup reporters, securing coverage of the announcement in outlets such as the Boston Globe, GigaOM, The Next Web, The Wrap, MediaBistro, ReadWriteWeb, and Columbia Journalism Review. In addition, PKPR conducted targeted outreach for each of the six winning projects, pitching reporters on related beats, such as online privacy or tablet innovation. This led to profiles or stories on individual winners, such as Behavio (Techcrunch, Fast Company, and PSFK) and WatchUp (The Economist, Mashable). Aiming to strengthen the role of the Internet as an open platform for global learning, the John S. and James L. Knight Foundation and Mozilla this provided $1 million in funding to Amara, a pioneer in crowd-sourced video translation. With nearly 170,000 videos translated since its founding in 2010, Amara is one of the world�s largest video subtitling platforms. Its system is used by a wide range of leading news, media and education organizations, from PBS NewsHour to Khan Academy and Al Jazeera, to reach wider audiences and further global understanding. In addition, Amara volunteers use the system to independently translate popular videos � from President Barack Obama�s message to the Sudan to KONY 2012, which was translated into 35 languages in 4 days. 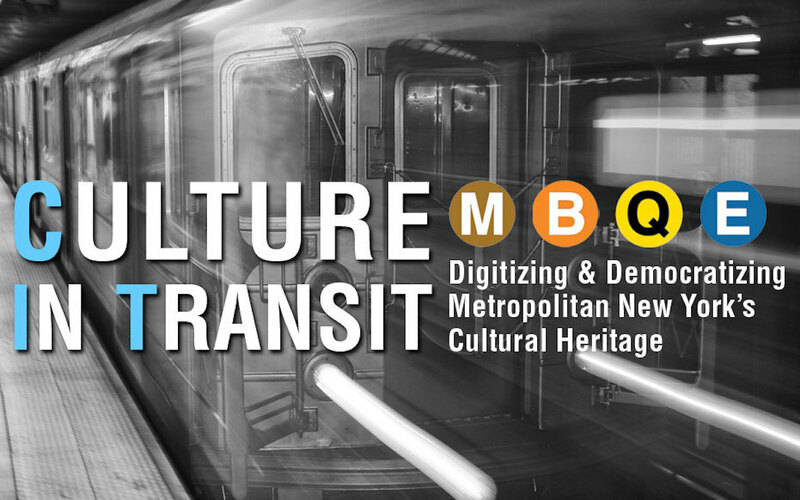 The Knight Foundation tapped PKPR to handle outreach for this announcement to technology media. Coverage of the announcement included TechCrunch, The Next Web, Pando Daily, BoingBoing, Portfolio, Xconomy, Crowdsourcing, Nieman MediaLab, and more.